There are plenty of uses for concrete blocks. Some of the most common include protecting vacant properties, preventing unauthorized access to your land and stopping ram raiders. However, we’ve also seen our blocks being used for a number of unusual projects. Thanks to our wide range of sizes and shapes, Polysafe concrete blocks and barriers can be used for almost any event or project. Here we take a look at some of the most interesting uses that our customers have found for concrete blocks. 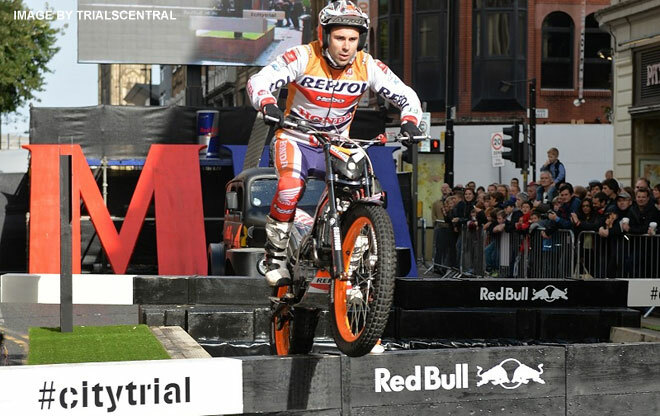 There are always a range of ideas that customers come up with for using concrete barriers that we would not have previously thought of and using them at the Red Bull City Trials to test the skills of the world’s best trial riders is a great example. The blocks were used as part of one of the course’s main features, a man-made canal lock with real water where bikers had to leap over the blocks and ride along the narrow edges beside the water before jumping out at the other end. 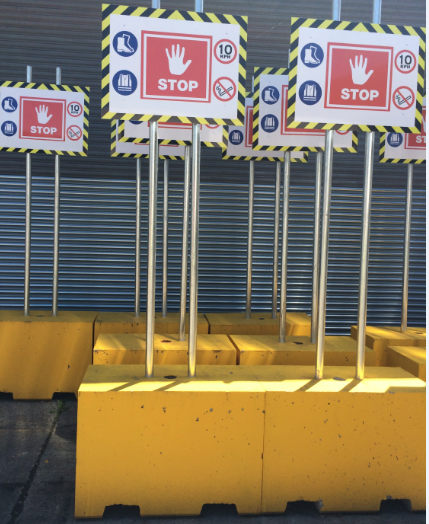 Back in 2014, Europa Worldwide Logistics contacted Polysafe for a number of concrete blocks to be used as stop barriers. The barriers would be placed in front of trucks while they were being loaded and unloaded to prevent accidents. They were painted bright yellow to make them stand out and included holes to accommodate Europa’s own health and safety signs. The blocks were perfect for temporary use since they provided an extremely robust solution without having to permanently install a sign post. The sturdy blocks also meant that the signs would be held firmly in position even in high winds. Polysafe blocks also made an appearance at a Classic Car Show run by AMR events, which saw hundreds of classic car enthusiasts gathering to appreciate the cars from a range of eras. The barriers were used in a number of designated areas to keep attendees separated from the tracks. 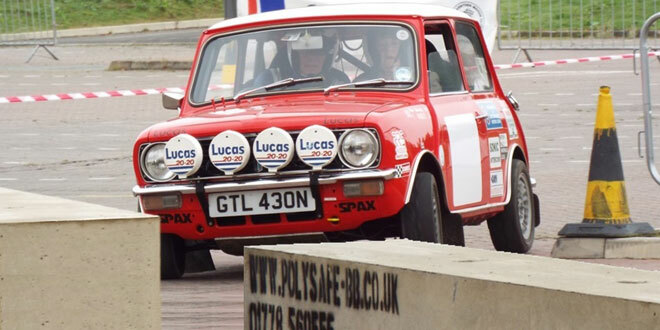 The blocks were put to the test when during a lap, one rally car overcorrected and spun towards the crowd. However, the barriers placed around the track did their job admirably and prevented the car from reaching spectators. One of the most unique uses of concrete barriers we’ve seen recently was for, security and defence company, Lockheed Martin. A range of rectangular and sloped blocks were used to test military vehicles across various terrains and gradients. 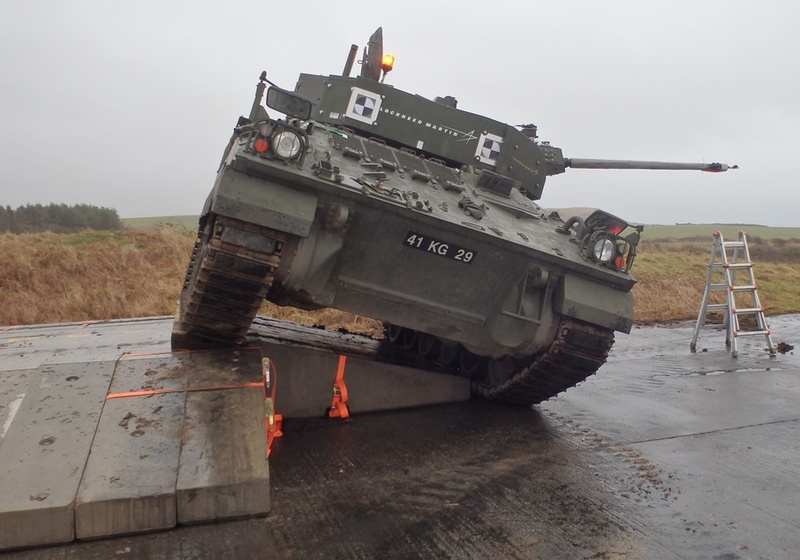 The concrete blocks were ideal as they offered different angles and surfaces to test the vehicles on and are heavy duty enough to withstand the weight of the heavy loads. So if you have an unusual use for concrete barriers or blocks, please contact us and we will be happy to discuss your requirements.